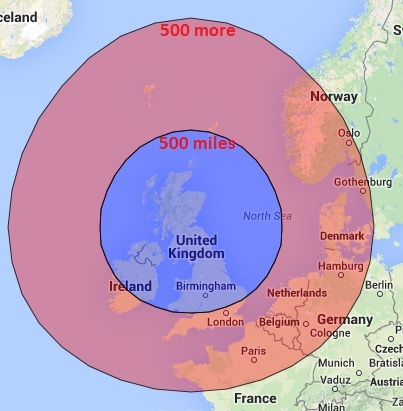 How Far Can The Proclaimers Walk? This was made using the Draw Concentric Circles page on Free Map Tools by drawing two concentric circles of 500 and 1000 miles from Leith, Scotland. This entry was posted in Random and tagged concentric on October 12, 2014 by freemaptools.